It's been a little quiet around here because wild things are happening and I am the worst secret keeper ever. Add to that my extreme fear of counting my chickens before the hatch and then ending up with no chickens and you'll understand why I just hide until news is made public by all parties involved before I spill the beans. Well, you may have seen on my Instagram today that I've been asked to speak at the Creative Counsel Conference in Austin, TX! I am over the moon to take such a huge step and to have a captive audience that is required to listen to me babble for a set period of time. I'll be chatting about the ins and outs of creating an Instagram aesthetic that reflects your brand and inspires an engaged following. So many amazing topics will be taught (ahem, like these: how to stage a product shoot and how to edit those photos in a consistent manner, how to create simple yet professional looking Photoshop graphics for your website, blog or social media, how to turn Instagram into a revenue making machine and how to create a business that transcends through the trends) and I would love, love, love to see you there! You can read more about it here and see my profile along with all of the other Girl Bosses on the docket! Take a peek at the Conference Instagram account for all of the details (and pretty pics, of course). One of my favorite bloggers ever, Colleen of The Lunchbox Diaries, is launching a brand new video series called Taboo Mom Talk. When Colleen first told me about the idea I was so impressed by her ballsy plan of putting together strong, opinionated women that were willing to talk about real life motherhood that I just wanted to know when and where I could watch. Needless to say, she blew me away by not only asking me to participate, but also asking me to be her very first guest. Brace yourselves, it's going to be live, unrehearsed and unedited, just the way I like things. Taboo Mom Talk will air on Blab (think a cross between Google Hangout and Periscope) next Tuesday, February 2nd at 8pm. Blab is a free social media service and you can participate in our convo by calling in or sending messages through the chat feature. You can register here for Colleen's Taboo Mom Talk video feed. We'll be drinking wine and talking about a topic that is crazy important to me, which leads me to one more thing. I haven't published a post about motherhood on Olive and Tate in what feels like forever and there's a reason why. About a month ago, I wrote what I think is my most heartfelt and "put it out there" motherhood essay and it has left me feeling all of the feels (mainly, totally exposed). I know my words won't be met with complete understanding and will most likely absolutely draw some negative feedback, but the topic is incredibly personal to me and the post needed to be written. It took me 18 months to finally find the right words and now they sit in my drafts folder, waiting to be published. And they will be, but not by me. 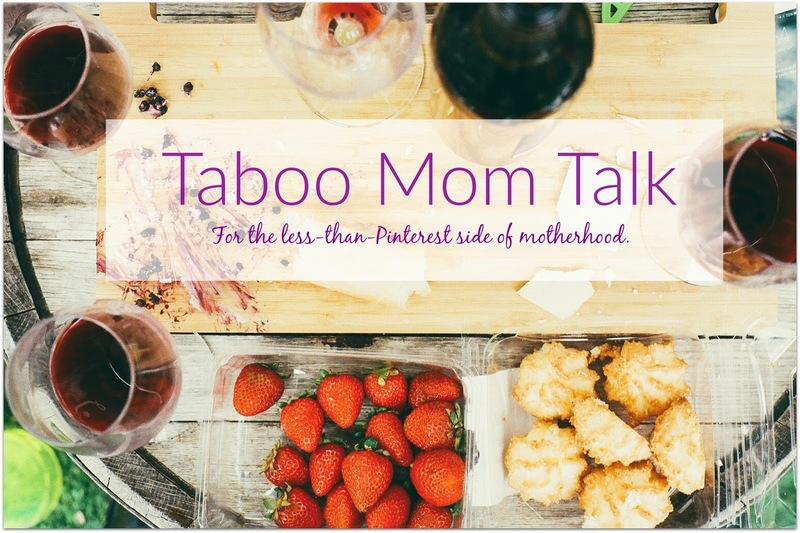 If the post is published before next Tuesday, I'll link to it and you'll know all about it - and Colleen and I will discuss it at length on Taboo Mom Talk. If it hasn't been published by then, you can pop over to our Blab conversation and hear all of the details before it goes live. So, that's the scoop. Well, I guess all of the scoops. 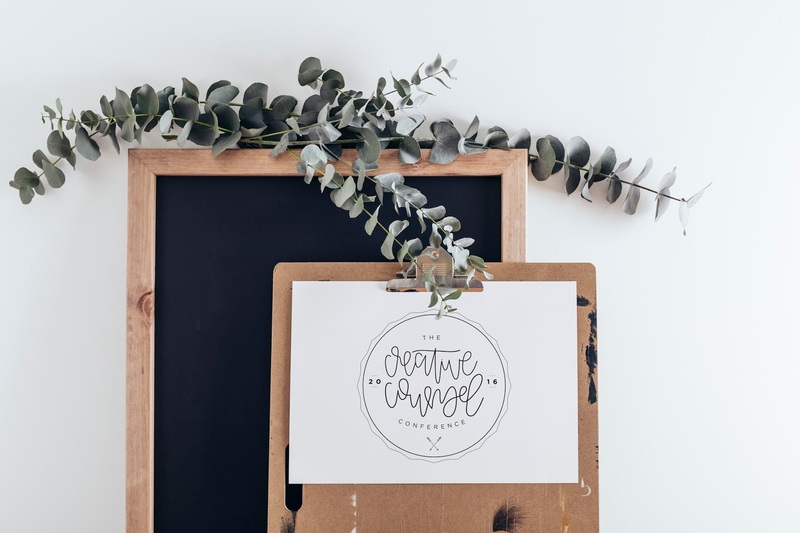 I would love to see you at the Creative Counsel Conference or chat with you during Taboo Mom Talk next week! P.S. If you are a Greenville area blogger, shoot me an email at oliveandtate@gmail.com so that I can fill you in on something that The Scout Girl and I plotted today! I can't wait to hear your interview and to read your essay. I think you're very brave and I always admire your honesty! So excited for you and all of your new opportunities! And I personally cannot wait to read/hear about this topic. I truly admire your honesty, it takes a lot of strength (especially for someone with your following) to hit publish. But I can honestly say because of this, your posts are the ones I look for every day. You say things that so many of us either don't know how to or are just too scared to say even though it's exactly what we are thinking! So you just keep on doing you and give zero f's about anyone who gives you anything less than positive vibes! SO exciting for all your opportunities!!! Many congratulations! This is so exciting! I would totally love to come to Austin but sadly it's a heck of a trip and not in the plans. I can't wait to hear more about it! This is all so awesome girly! Cheers to you! I'm so proud of you! You are taking off and I feel like "I knew you when" haha! I am a mom and I cannot wait to read about your experience. I have two babies, a 2.5 year old girl and a 5 month old boy. Girl, motherhood has straight blown my mind in both a good and bad way, and so when you say an honest look at motherhood, I'm super interested in reading. I am very honest about how hard it is for me so I'd love to catch up sometime!